1. 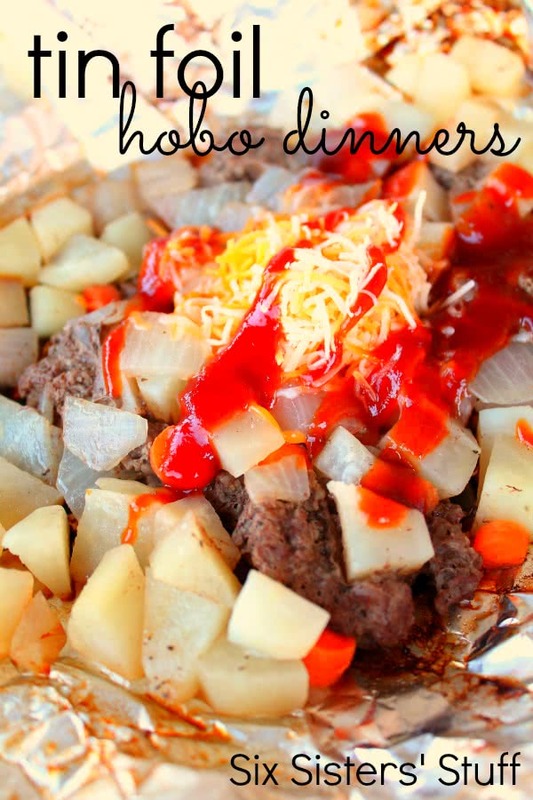 Tinfoil Dinners: One of the best ways to cook food in the wild (in our personal opinion). You can check out our favorite tinfoil dinners HERE and HERE, or check out this sweet cookbook our friend put together, FOILED! 2. DIY Fire Starters: Can’t find kindling? Try these DIY Fire Starters from Over the Big Moon. 4. 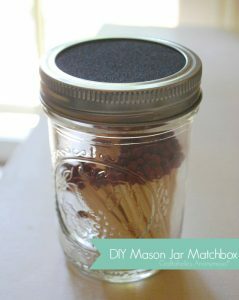 DIY Water-resistant Matchbox: We love this easy DIY Matchbox Jar for keeping your matches dry from Craftaholics Anonymous. 5. DIY Hand-washing Station: This station is easy to assemble and keeps your paper towels clean and dry (hallelujah!). From Do it and how. 6. 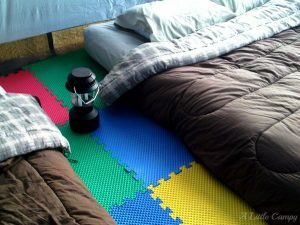 Foam Floor Tiles for Tents: This one we are definitely using with the twins this summer – crawling is hard on uneven, rocky surfaces, and these foam tiles will make camping SO much nicer! From ALittleCampy.com. 8. 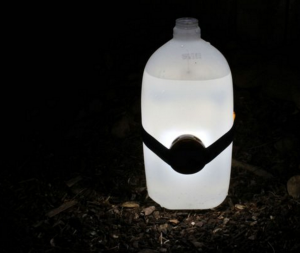 DIY Lantern: Skip the over-priced lantern at the store and opt for a water jug + head lamp. Easy, cheap, and works great! Source: eHow. 9. 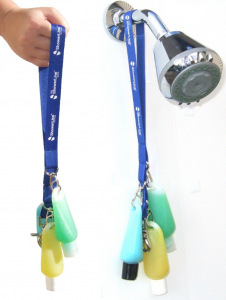 Make (or buy) a “Shower Lanyard”: You can buy one off of amazon for pretty cheap, or you can go crazy and make one yourself. Either way, it will make shower-time a LOT easier. 10. 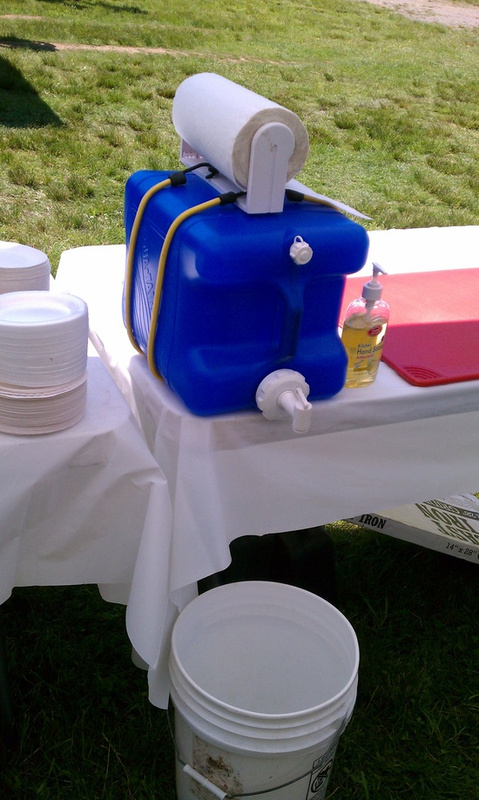 Use Frozen Water Jugs in Coolers: Forget the ice! 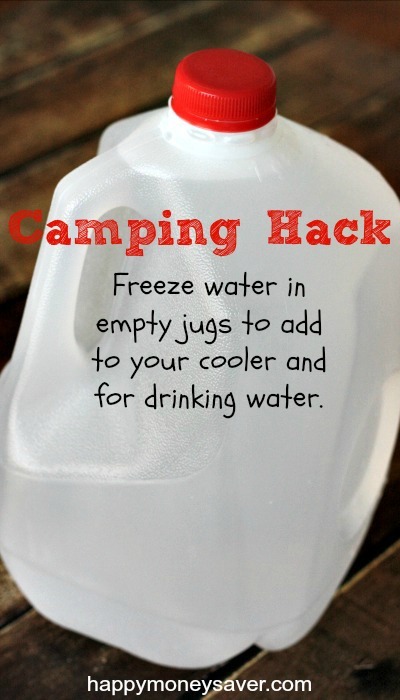 Use frozen water jugs in coolers – less of a mess, and you can drink it when it has melted! Source: Happy Money Saver. 11. 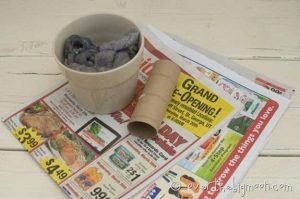 DIY Trash Can: I don’t know about you, but the “tie the bag to the tree” or “hang it off the side of the table” just always ends up in spilled garbage for our family! 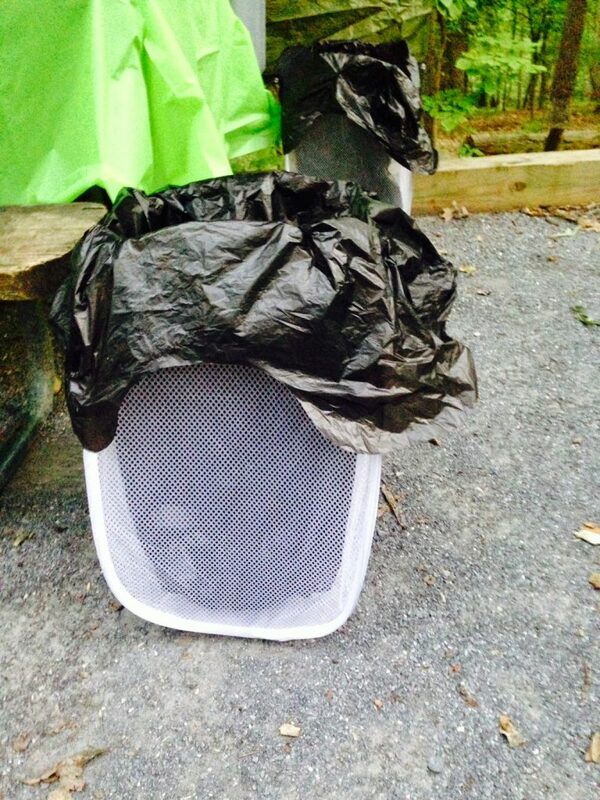 I love this quick hack for a trash can using a dollar store pop-up hamper. 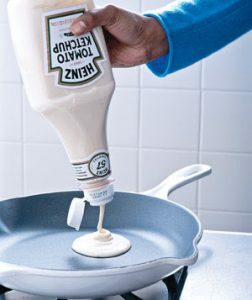 Source: Camping Kitchen. 12. 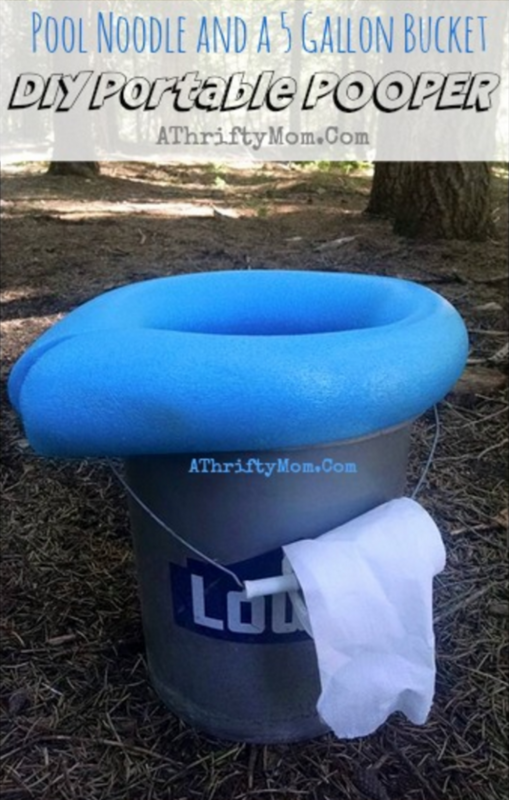 DIY Portable Potty: If you’re more of a hard-core camper (I can’t say I’ve ever gone camping without toilets!) – this DIY porta-potty is for you! Source: A Thrifty Mom. 13. 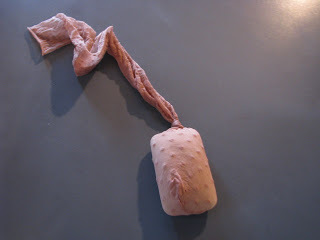 Soap Hack: We used to go camping with our grandparents and cousins every summer, and my grandma always used this trick for keeping soap off the ground! Just place a bar of soap (or soap pieces) in the sock end of some pantyhose and tie it around the water spout (or wherever you need one). Image source: Tightwad Mom’s Frugal Forum. 14. 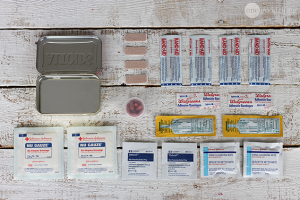 DIY Mini Emergency First-Aid Kit: I love this idea from One Good Thing by Jillee – easy DIY first aid kits, all fit snuggly in an Altoids container. 15. 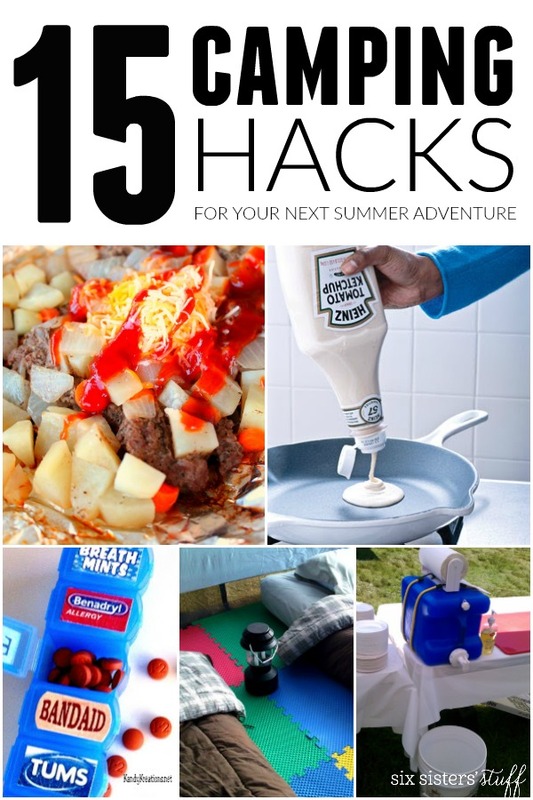 DIY Mini Medicine Cabinet: I’m always worried about people getting sick while we’re camping, but I hate packing up a ton of medicine when we’d only need a small amount. 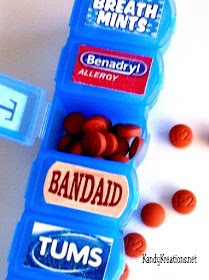 I love this emergency medicine box from Kandy Kreations! Check out our camping checklist to make sure your trip is the best yet! My ex and I found a very happy surprise when we took our family camping a while back. We were running low on funds and we had given our girls a choice to have birthday parties or to go camping. They chose camping (much to our delight), As we checked into the gate the ranger asked if either of us were veterans. My husband told them yes he was and they informed us that veterans were allowed to camp free of charge for up to 29 days, then they would have to check out for at least 1 day but then we could check back in for another 29 days. This place is great. 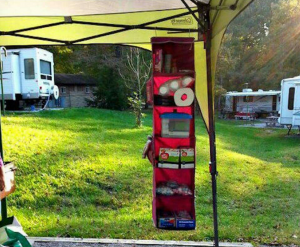 It is close to town, there are boat docks, showers, bathrooms, garbage cans, swimming and picnic areas, there is a grocery store less than a mile from the camp ground, that also has gas and propane. It is less than 20 minutes from the major town. There is fishing. It is a beautiful spot. If anyone is interested it is called Loafers Creek in Oroville, California.